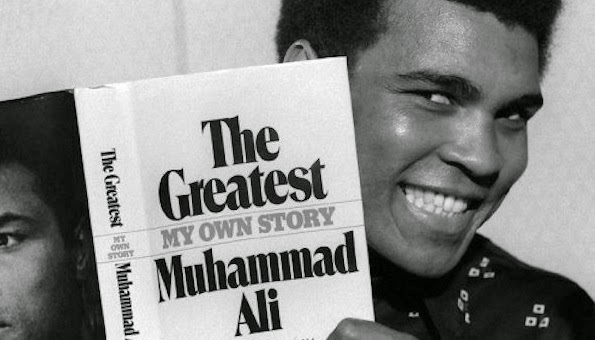 28 of the Greatest Muhammad Ali Inspirational Quotes - Motivate Amaze Be GREAT: The Motivation and Inspiration for Self-Improvement you need! One of the most recognizable sports icon of all time, Muhammad Ali was notorious not only because of his achievements in boxing, but also because of his actions and words outside the ring. This man was an inspirational source for generations to come, he proclaimed himself to be The Greatest before he was, and he eventually got there. Know for his 'big mouth', Ali was unafraid of expressing his thoughts, and although he could be consider has an entertainer and jokes-man, he was also very serious and wise in his words when it come to real matters. Hope you've enjoyed it, don't forget to inspire someone you know by sharing this Muhammad Ali inspirational quotes with them.